Almost a half century of trade mugs have graced this site but only now has the fabled ‘Tankard’ made its long-awaited debut. This translucent red-on-white number boasts and an almost Jaggeresque protruding lip and it’s logo & print feature more fonts than the Vatican. It’s a veritable feature-packed treat. I don’t usually expound on the virtues of the mugs themselves but this Tankards’ jutted lip sits snugly on your own whilst sipping and makes for a satisfying beverage experience. I can honestly say their mug hasn’t let us down either! 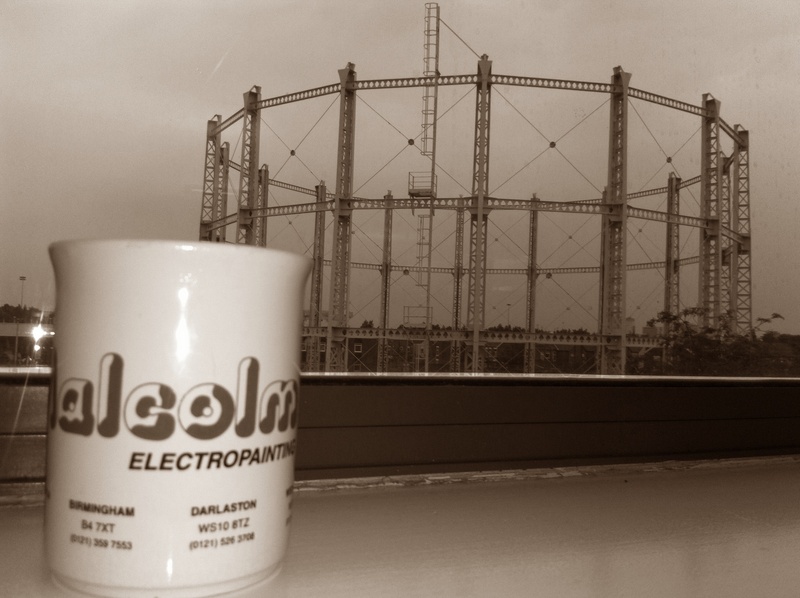 An arty sepia-toned shot of the iconic Malcolms Electropainting Mug. Belonging to the Tankard family, it was shot on location overlooking the disused Gas Tower in Stretford, giving it an air of melancholy. 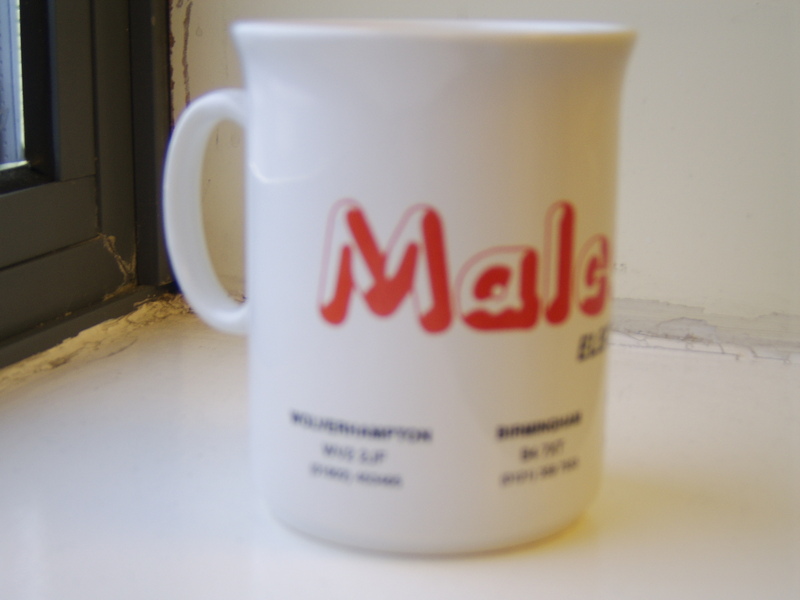 I for one was left wanting to know more about the world of electropainting so why not visit the website for this West Midlands industrial stalwart www.malcolms.co.uk for the full lowdown. Here is a full colour side view of the receptacle, unveiling its Tankard handle design.